Follow all of the on-track action at the picturesque Oulton Park race circuit. From club racing to the British Superbike Championship, British Touring Car Championship and British GT, you can see it all at Oulton Park! With Oulton Park LIVE you can order tickets for an event, follow the racing as it happens and find your way around Cheshire’s famous motor sport venue. Plus whether you're here at the circuit, or somewhere else, you'll never miss a moment of the action with live race commentary and timing. 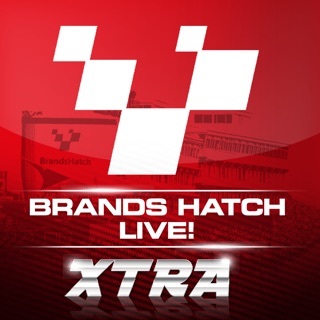 Get closer to the action with Oulton Park LIVE! PLEASE NOTE: Due to the location of Oulton Park you may experience difficulties with your mobile data connection which could prevent you from listening to live radio and viewing live timing whilst on-site at Oulton Park during large events such as the British Touring Car Championship and British Superbike Championship. We are working hard with the mobile networks to improve this for the future. Ok so this is my first year visiting Oulton Park and opinion of the app is as follows... Firstly I want to see who won each race and lap times instantly while I'm sat in my car (surely that's possible this day in age) also wifi needs to be available all over the park not just the pit. Live Weather conditions at Oulton including temperatures. Currently the app is very geared to advertising next events lets make it about spectators in car experience and you'll sell more season passes from great customer service you won't need to advertise. The map on the app is rubbish please update that to the really good one that is on billboards around the track. Brilliant for event timetable and live timing for most events Built in event calendar also very useful. The only thing that I'm not able to do is set reminders from the app maybe a IOS PROBLEM. Hopefully next version will sort this out.